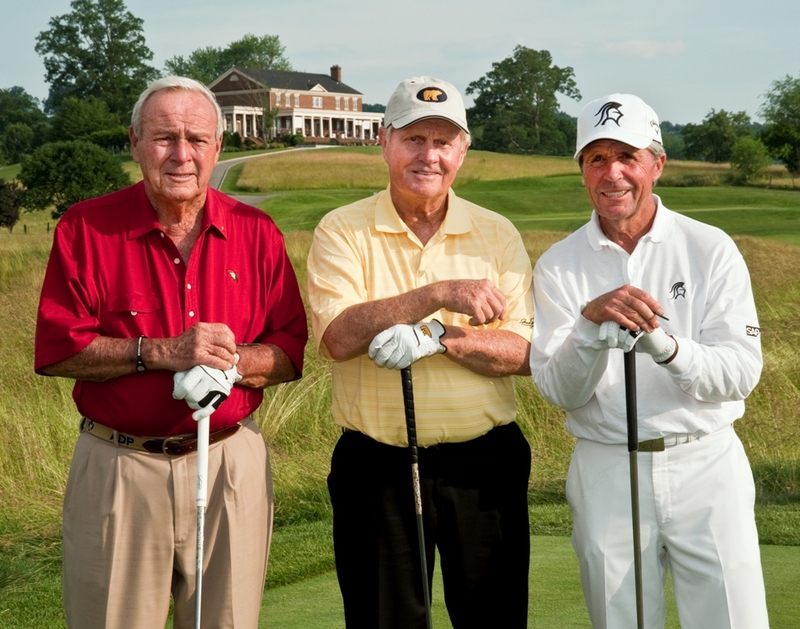 Jack Nicklaus will reunite this weekend with a number of long-time friends and competitors, when the Golden Bear joins a roster of legends in the Post-It® Products Greats of Golf Competition. The competition will take place Saturday and is part of the 3M Championship, a Champions Tour event held at TPC Twin Cities in Blaine, Minnesota. Jack will team with Gary Player and Lee Trevino in the best-ball format. Also scheduled to appear: the team of Johnny Miller, Dave Stockton, and Tony Jacklin; the grouping of David Graham, Fuzzy Zoeller, and Andy North; and the trio of Annika Sorenstam, Nancy Lopez, and Pat Bradley, captained by Arnold Palmer. The Greats of Golf will take place immediately following Saturday’s second-round play in the 3M Championship. The Golden Bear is scheduled to tee off after 1:00 p.m. ET. The tournament airs today on the Golf Channel from 12:00 to 1:30 p.m. ET, and Saturday and Sunday on the Golf Channel from 3:00 to 6:00 p.m. ET. Competitors in the Greats of Golf Challenge are members of the World Golf Hall of Fame, have 20 or more career victories on the PGA and Champions Tours, or are former major championship winners. The Golden Bear leads the pack with 120 professional tournament victories worldwide and a record 18 major championships. Tom Pernice, Jr., will defend his 3M title and compete against a world-class field featuring Champions Tour stars Rocco Mediate, Colin Montgomerie and Bernhard Langer, who is coming off a record-setting, 13-shot victory in the Senior British Open. Fan favorites Nick Price, Tom Lehman and Champions Tour rookie Miguel Angel Jimenez are set to compete in the three-day event. The tournament will donate $1.3 million to benefit healthcare programs at Allina Health. “Our sponsors and volunteers continue to help us improve the lives of people in our community with their continued dedication to the 3M Championship,” Cavner said. The 3M Championship has donated over $21 million to charity since 1993. For more information on the 3M Championship, visit 3mchampionship.com.